Open House Sat. 4/20, 11-3! Want to know what interest rates are today? Interest rates are stable as we enter the Spring home buying season this year. Good news for buyers! See The Latest MLS Statistics Here! The San Diego market continues to improve, with sold properties ahead of last month, closing the gap with the first quarter last year. This trend should continue this month since pendings (properties in escrow) for March were 25% ahead of February. All this activity is causing the number of properties on the market to flatten, where that number is normally building this time of year. See stats for your zip code here. Cell Phones for Soldiers~Official Collection Site! To date, 596 have been received and shipped! Your donations and support of our collection efforts are appreciated!! Many thanks, keep them coming!!! No hassle collection. 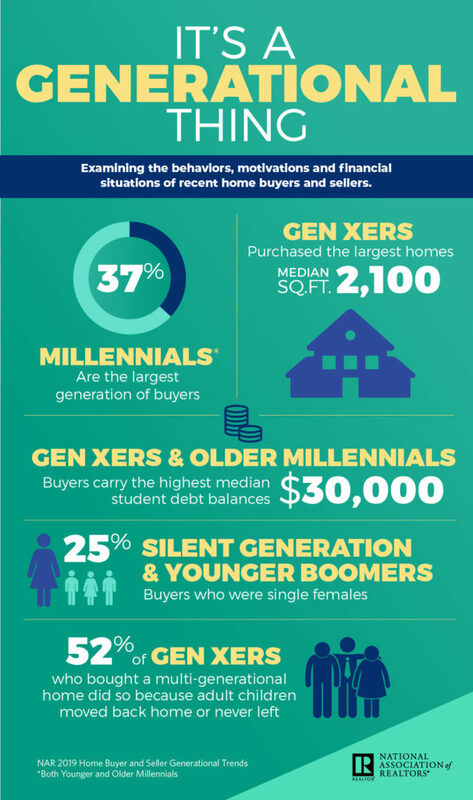 One in six Gen Xers purchased a multi-generational home, overtaking younger boomers as the generation most likely to do so. Fully 52 percent of those.